Both Hanley and Fragola will be testifying. Perhaps someone can ask them about all of this. 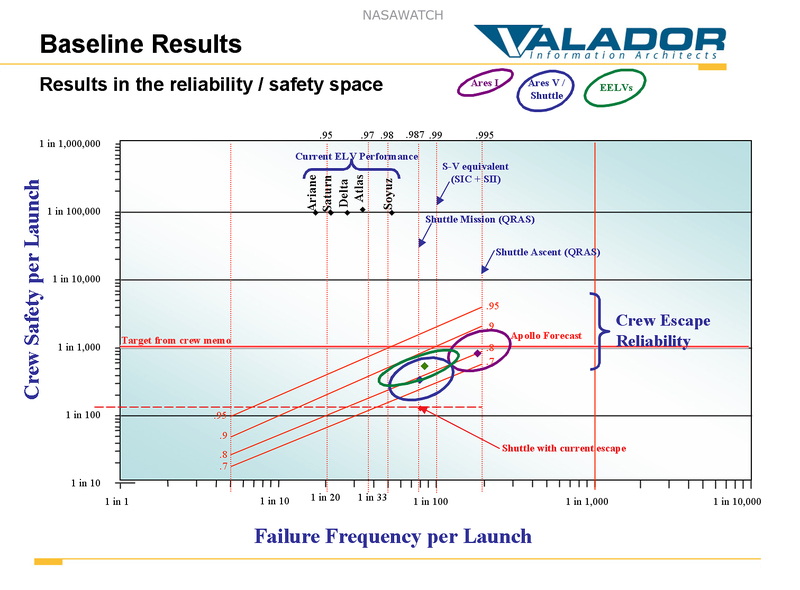 This is an internal version of that same chart that was prepared by Fragola's company Valador - but was not used. 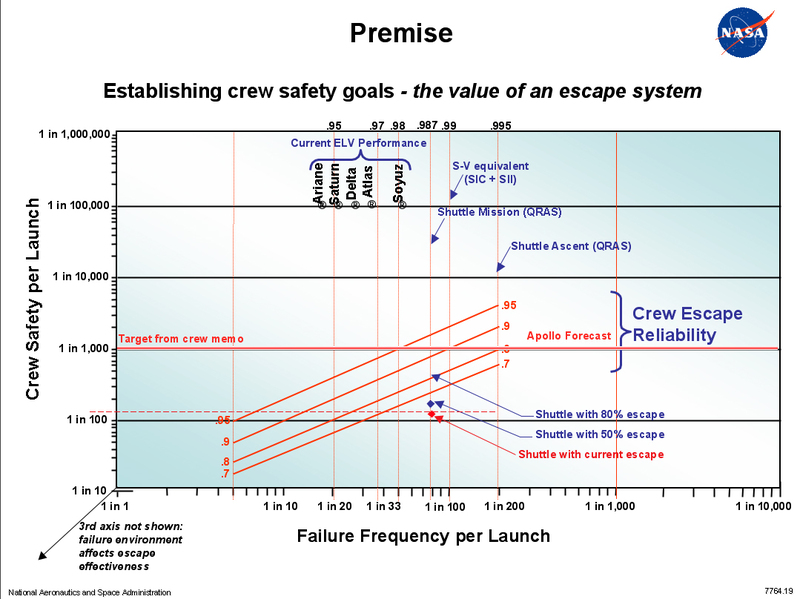 [click on image for larger version] Note that this unused chart has specific call outs as to Ares I, Ares V/Shuttle, and EELV safety ratings. 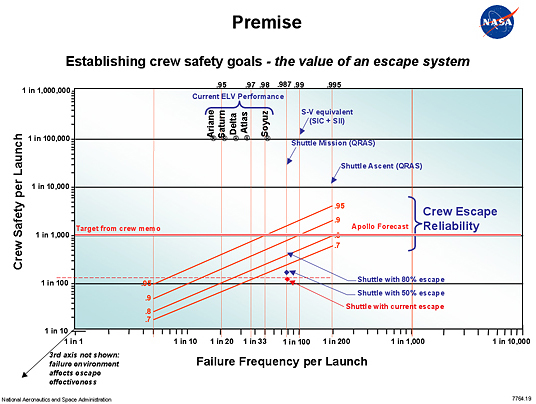 Note that Ares I does not meet the "Target from Crew Memo" safety goals (red line) that the Constellation program set for itself. Why did Steve Cook not allow this chart to be used? When asked by Committee member Leroy Chiao to use the chart in his presentation and point out where Ares 1 falls in terms of its relative risk, Fragola used a laser pointer and indicated a region i.e. a safety rating that was above the requirement line i.e. safer than what the internal version of that unused internal chart showed. Chiao's broader question starts at 30:24. His specific Ares 1 question starts at 34:35. The laser pointer is somewhat difficult to make out but a higher quality video will show it much more clearly. HSF Committee-Public Meeting-Huntsville, AL-04b-Constellation from U.S. HSF Committee on Vimeo. Leroy Chiao, Ph.D. In that case, where would Ares fall on this charts? Joe Fragola - Valador Inc. - Vice President As I recall, it is about 0.85 to 0.86. Leroy Chiao, Ph.D. Okay, do you have a pointer, can you kind of show us where that might be? Joe Fragola - Valador Inc. - Vice President It's about... this is 0.8, so 0.85 is approximately around in here. If you talk about a 1 in 200 or 1 in 400 launch vehicle, you are talking about the Ares being up in this area and that is rather significant. If you start looking at the probability that you'll get better than 1 in 1000, no vehicle comes close to Ares l. And, of course, models have uncertainties associated with it. That's why I showed these significantly large bands of uncertainty. But the fact of the matter is it's the combined confidence of high reliability demonstrated on the SRBs for the Shuttle with the understanding of the significant scenarios that create the abort environments that gives you that feeling of confidence on the Ares l.
Leroy Chiao, Ph.D. Okay. And help me a little bit because we've been seeing numbers of Ares being 1 in 2000, but you are saying it might be even be a little less than 1 in 1000. Joe Fragola - Valador Inc. - Vice President Our calculations are better than 1 in a 1000, better than 1 in a thousand. Joe Fragola - Valador Inc. - Vice President Well, there are different... this was an independent assessment. There were different models. There were different teams. 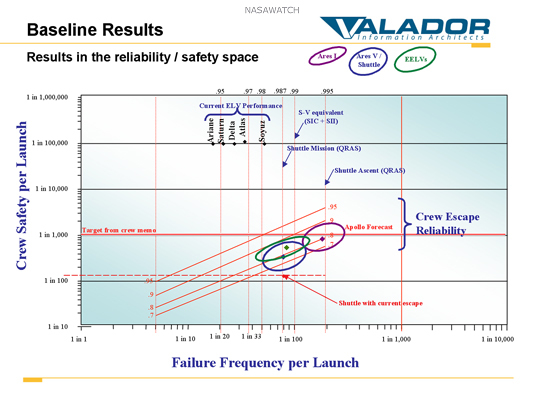 The teams have not gotten together to resolve the uncertainties but it's important to understand that independent of what the absolute of that number is, the thing to remember is the relative safety level of Ares l is significantly better, to talk about both, significantly better than all the alternatives and significantly better than the current shuttle. Even though the shuttle has demonstrated with a very high level of reliability, it is a question of reliability and abort effectiveness that makes the combination. First flights of NASA's Ares rocket: less safe than space shuttle?, Orlando Sentinel\n\n\"In an e-mail to the Orlando Sentinel, Jeff Hanley, manager of the Constellation Program that includes Ares I and Orion, said that in the four years since the ESAS was first conducted, there have been advances in engineering risk assessments and that supercomputer analyses say that the ultimate risk of losing a crew aboard Ares I would be just 1-in-2,800. But he acknowledged that even with better risk-assessment techniques and designs, a new rocket poses considerable risk. \"What at least some of our work suggests is that, yes, on the second launch the LOC [loss of crew] risk may be roughly on par with today's mature shuttle risk. Other assessments are less rosy (a little riskier than a shuttle launch), so we are working right now to sort out a 'best estimate,'' he wrote.\"\n\nNASAWatch: NASA withheld safety data from Augustine panel, Orlando Sentinel\n\n\"NASAWatch.com,a respected watchdog website,reported on Tuesday night that NASA allegedly withheldinformation from a White House panel that showedthe Ares I rocket did not meet the agency's own safety goals.\"\n\nCongressional testimony about early Ares flight risks incorrect, Orlando Sentinel\n\n\"Fragola said that the passage quoted by the Sentinel storyfrom the Exploration Systems Architecture Study concluding that it would take at least seven flights (two test flights and five mission flights) before the Ares I and Orion crew capsule could to be deemed to be as safe as the shuttle referred to a more powerful configuration of Ares-Orion that used a liquid oxygen-methane engine and not the simpler lower performance configuration being designed today. He said he knew this because he wrote the section of the ESAS that the Sentinel was referring to. Indeed, the report does say a few pages before the passage quoted by the Sentinel that a LOX-methane engine is riskier than the original simpler design for Ares-Orion, however, Fragola either misremembered the report or was not entirelyhonest with Congress when he dismissed our reporting.\"\n\n Keith's note: With regard to Jeff Hanley's current comments, this is not the first time that Hanley's organization has had problems presenting (or admitting) a consistent view of what Ares 1's safety was relative to Shuttle and other launch systems. Indeed, you only have to look at Joseph Fragola's presentation to the Augustine Committee to see what Constellation knew Vs what it said. Specifically, there was a briefing chart that was withheld from the Augustine Committee - see below for that chart. 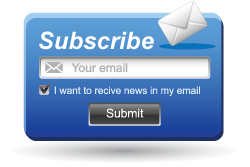 This page contains a single entry by Keith Cowing published on December 2, 2009 2:00 PM. The Outpost Tavern is Closing - And this time, it is for good. was the previous entry in this blog. Congressional Hearing on Commercial Space Transportation is the next entry in this blog.